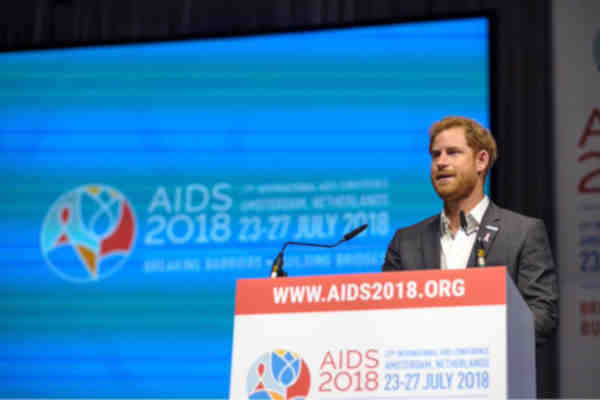 At the International AIDS Conference in Amsterdam, Prince Harry joined Sir Elton John in launching a new AIDS initiative. The MenStar Coalition is a global organization aimed at preventing HIV infections in men. Harry, the co-founder of the Africa-based AIDS charity Sentebale, said that he was honored to share the stage with John. "For over a quarter of a century he has worked tirelessly to fund research services and communities around the world,” Prince Harry said. "Today, he has come to Amsterdam to announce his latest endeavor: a billion dollar global partnership to break the cycle of male transmission of HIV – particularly in sub-Saharan Africa,” he added. Prince Harry's mother Princess Diana also was involved in issues related to HIV/AIDS.